Frederick Larson has given a stunning interpretation of the Star. Christmas, despite what the calendar says, isn't over. And the star — "star of wonder, star of night, star with royal beauty bright" — that shone over Bethlehem won't go dim until it gets its proper due on Epiphany on Sunday (Jan. 6). For centuries, the star has intrigued astronomers, historians, artists and theologians alike: was it a one-time miracle, a literary myth, or was it an actual astronomical occurrence? Ever since the 1600s, people have used astronomy, history, and the Bible to try to identify the Star of Bethlehem. So was the star something real, seen in the heavens as a sign of the coming Messiah? Or was it, as some say, merely made up by the early Church? When the Magi arrived from the east, perhaps traveling from Persia or perhaps Babylon, they asked a question, and it's loaded. They say, "Where is the one who has been born King of the Jews?" Now something they'd seen in the sky suggested to them a connection with birth, kings, and the Jewish nation, and they saw the star when they arrived in Jerusalem. So it endures over time. So that's another clue, because most celestial objects endure over time, but not all do. Is the Star of Bethlehem real or myth? The Star of Bethlehem is one of the most revered symbols of the christian faith. But some have wondered... is it mere legend... or truly a miracle? A bright star appeared in the night, lighting the way to where Jesus was born. It's the story of the star of Bethlehem. It's been passed down for generations, but did the star really exist? Bethlehem Star: Both Natural & Miraculous? The star of Bethlehem: Natural occurrence or miraculous event? Rick Larson believes it's not an either/or answer.An attorney and legal professor, Larson has spent the last eight years devoted to showing how he believes astronomical events in the years 3 and 2 B.C. fulfill the Bible's description of the star the Magi followed to find the young Jesus. Having given numerous PowerPoint presentations on the subject at churches, Larson has helped put together a 63-minute DVD just in time for Christmas called "The Star of Bethlehem," detailing -- with the help of a computer program -- what he believes the wise men actually saw. "I have heard objections from clergy who say they don't like what I'm doing because it removes the miraculous," Larson told Baptist Press. "... The reason that is wrong is because if the star was part of the natural order, and our solar system and the universe is like a great clock -- mathematically precise and predictable -- then that means that the star was a clockwork star, and that of course means that God built the star into the structure of the solar system in the universe from the beginning of time. A law professor at A&M University in Texas claims to have evidence that the star of Bethlehem exists. Rick Larson said he used scriptures, science and history to try to find out the truth about one of the most celebrated natural phenomena in the Christian history. Is the star of Bethlehem -- described in the New Testament’s Gospel of Matthew as guiding the magi to Jesus in Bethlehem -- fact or myth? Frederick A. Larson, an intellectual property solo in College Station, says the existence of the star of Bethlehem is an astronomical fact, and he has created a video presentation to prove it. Was the star described in the Gospels as heralding the birth of Jesus a real phenomenon or merely an invention of the early church? In this intriguing documentary, evangelical lawyer turned student of astronomy Frederick A. Larson uses the evidence of Scripture and the mathematical calculations of modern software -- which allow for the precise reconstruction of the night sky on any date in history -- in an effort to answer that question. For centuries, historians, scientists and scholars have debated the existence of the Star of Bethlehem in the Biblical telling of Christ’s birth. 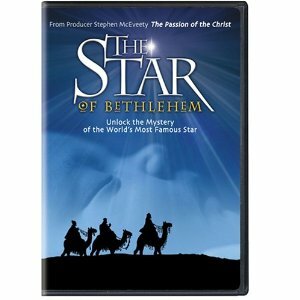 Now the existence of this celebrated, yet debated, Star has been proven by Texas lawyer and professor, Rick Larson, in the documentary, “The Star of Bethlehem,” available on DVD Oct. 23 at national online retailers and local Christian bookstores, distributed by Mpower Pictures and Genius Products. This documentary is fascinating and meticulously researched. Frederick A. Larson, a lawyer, became interested in the history of the star of Bethlehem, and did extensive examining of the facts.